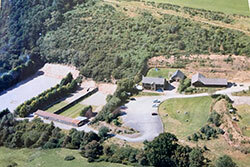 Minsterley Ranges is a privately owned 16 acre shooting complex located in the most breath-taking Shropshire countryside, approximately 17 miles South-West of Shrewsbury. Fairly centrally located, we welcome visitors from all over the UK. We offer a wide range of facilities and activities for anybody interested in the shooting sports. Whilst we have a large membership, we are very keen to welcome visitors and guests and are generally open to the public. You do not have to be a member to come here! Whether you are a shooting person or not we are sure that you will find Minsterley Ranges an interesting place to visit and you will be made most welcome. Come and spend a relaxing day out in a friendly atmosphere. We welcome beginners and those who are simply curious and would like to come along and be nosey! Families and children are also very welcome. 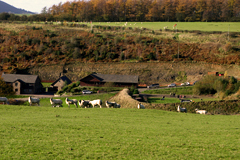 Minsterley Ranges incorporates "Brookshill Shooting Club" which is Home Office Approved. Membership of the Club allows you to apply for a Firearm Certificate for the purposes of target shooting. There is a large log cabin style club room and gun shop. Minsterley is run by shooters for shooters and unlike many gun shops the staff are all keen and experienced shooters with a wealth of practical knowledge in various specialist fields. The Rifle Ranges: We have three rifle shooting ranges. The 100 metre range has 15 firing points, all with proper concrete shooting benches and covered firing points. There are two further 50 metre ranges with covered firing points and one of them has an electronic running boar target facility. The Clay Ground has three mixed sporting layouts, equipped with electronic traps. We also have a Practical Shotgun Range and run regular open shoots for veterans and beginners alike. All are welcome. People come to visit us from all over the UK & Europe. There are lots of local Bed & Breakfast places available to stay in, close to the ranges. Please phone us for more information.